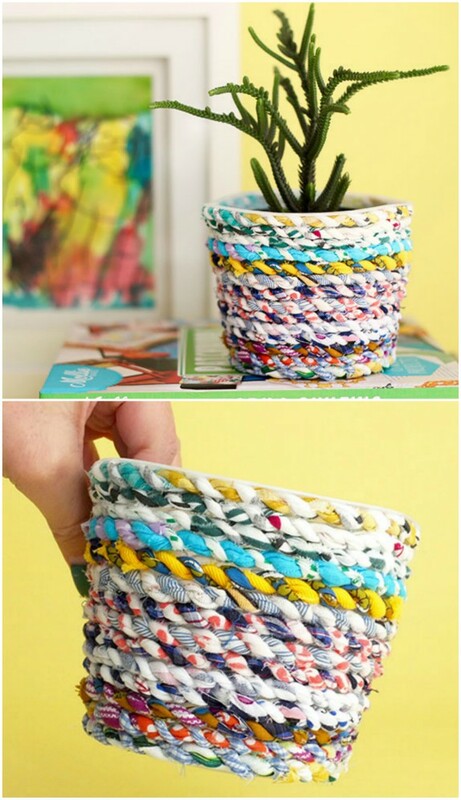 We’ve found the perfect use for all those Fabric Scraps. 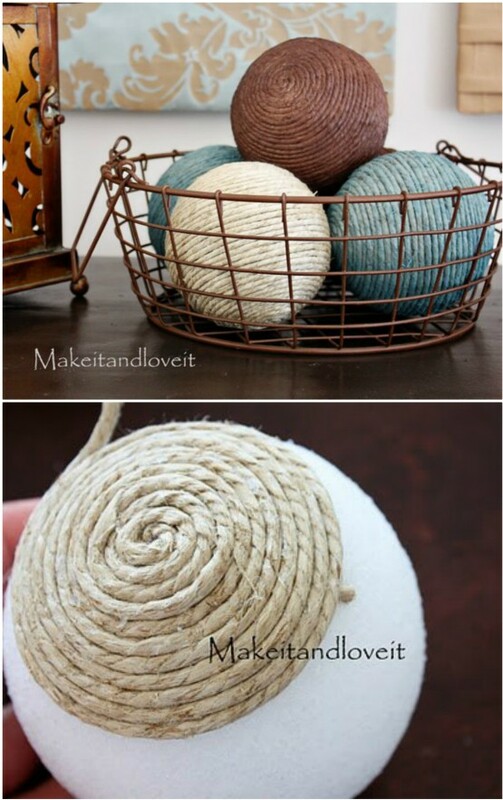 Turn it into Handmade Scrap Fabric Twine. This is such a great idea. Watch the easy to follow video tutorial now. One of the big challenges for crafters must surely be the leftover fabric scraps. Well, today we are sharing an ingenious way that you can use up all of yours and we know you’ll love it! We were very excited to find this excellent recycle idea on My Poppet. The creator, Cintia, clearly has experienced such fabric dilemma’s and so was the inspiration for her Scrap Fabric Twine. The news just gets better for us all. Cintia has created a video tutorial that you can follow along with. She explains a few clever tips and tricks and you are guaranteed to love the results. 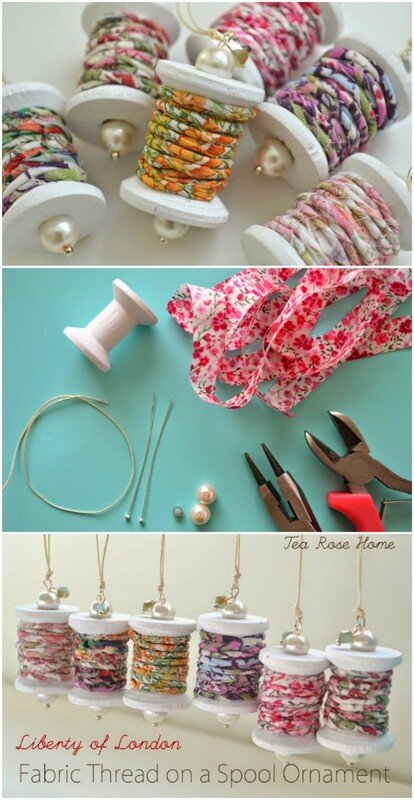 Once you have learned how to refashion your Fabric Scrap Twine, why not create these adorable Spool Ornaments. They are seriously cute and very easy to make. You can find the details on Tea Rose Home. Pam from Left 2 The Imagination made several fabulous Scrap Fabric Twine Projects that were particularly interesting. This one is Fabric Twine Dowels and she also upcycled an old chandelier and redid the light covers with scrap twine. Still with Pam, we simply had to share with you her Loom. 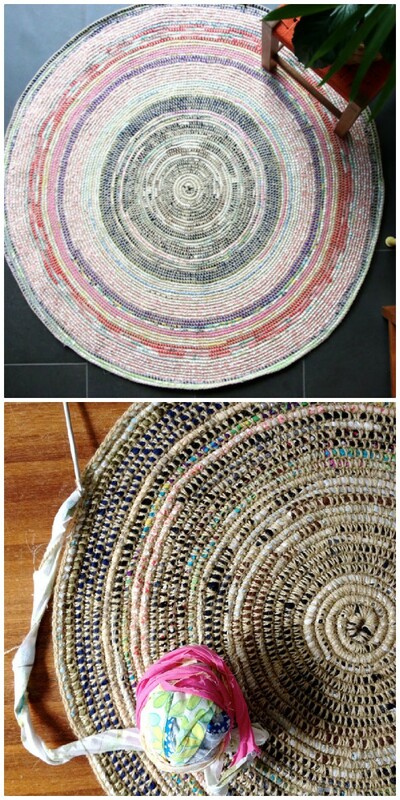 She has used her Scrap Fabric Twine to weave and create amazing textures. Be sure to check her projects out on her website. 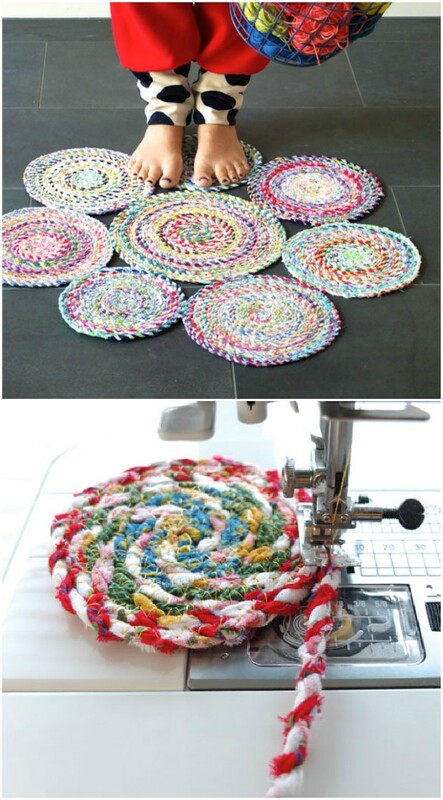 Another very popular way that you can recycle your fabric is into a big floor mat. This has a decidedly designer look and will bring a favorite space to life instantly. Find the details for this project and others on My Poppet. 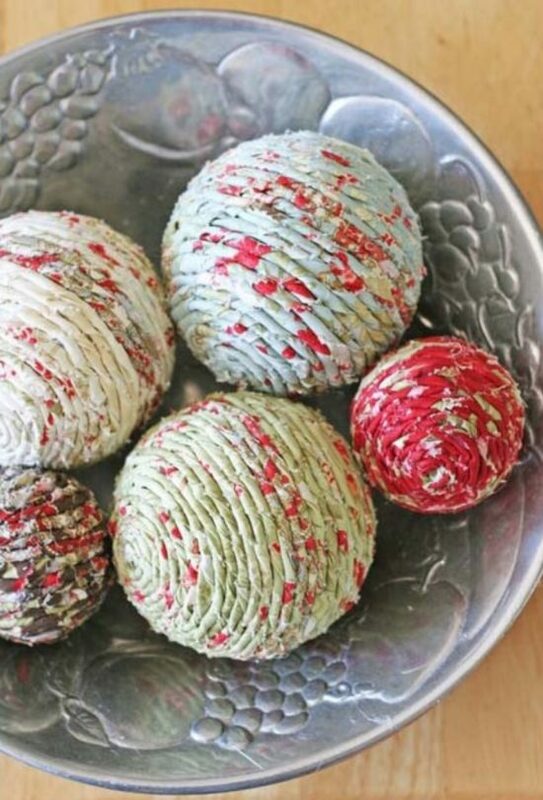 These Twine Balls are stunning and the colors look amazing. They are featured on Mark Lipinski’s Blog as part of a collection of ideas. We can’t wait to make them! One of our favorite ideas is without doubt these Twine Pears. It’s a double upcycle as these Pears are made from old Light Bulbs. You can find the project details on Practically Functional. As mentioned earlier, Cintia is the creator behind this Scrap Fabric Twine and she appeared in the video tutorial. You can find the details of the project on her website My Poppet.